We’ve got the lowdown on 2017’s most exciting new pushchairs – both travel systems and strollers from top brands. 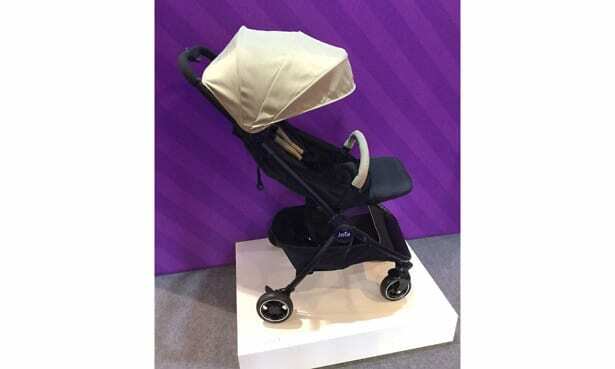 At the recent Harrogate baby show, we were treated to exclusives of pushchairs before they launch, such as the Egg Quail from Babystyle and the Uppababy Vista 2017, as well as first looks of those hitting the shops now, including the Joie MyTrax, Nuna Mixx and Hauck Swift. We loved the hi-tech knitted fabrics and real-leather handlebars of the slimmed-down Uppababy Vista, the Babystyle Egg Quail’s clever seat adjustment system and the Hauck Swift’s featherlight weight and one-hand fold. Read on for more of what we loved, plus prices and launch dates for them all. 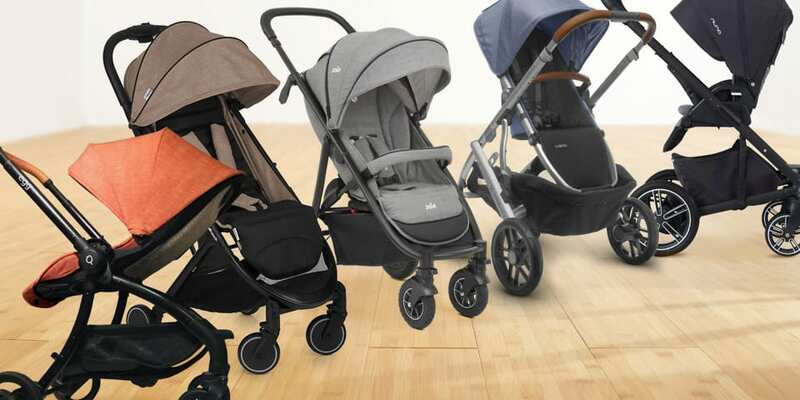 Find out which pushchairs from these popular brands have been named Which? Best Buys. Appropriately enough for Easter time, Babystyle has shared the ‘eggciting’ news that its premium Egg brand is going to be bringing out a smaller, lighter-weight pushchair travel system. The size and design of the Egg Quail gives more than a nod to other popular urban pushchairs, such as the Bugaboo Bee and the iCandy Raspberry, but we were impressed with its innovative features. Most eye-catching were the easy-to-adjust harness and hood mechanisms that slide easily up and down, similar to what you’ll find on some of the more premium car seats models. These mechanisms are hidden behind a magnetic snakeskin back panel (available in several pearlescent, dragonskin-like materials). The Babystyle Egg Quail pushchair can be folded with the seat on in either direction and closes up like a clam (similar to the Mamas & Papas Armadillo Flip XT). Its seat lies flat, so this is a pushchair suitable from birth, although the Quail will also have an optional carrycot. Look out for the Babystyle Egg Quail in shops late Summer, costing £599. Uppababy’s flagship model has plenty of fans. But the brand has worked hard to appeal to more parents in 2017 by slimming down the original design. The new Vista is a whole 2.5cm narrower, which should make all the difference when squeezing it through narrow doorways and gaps. The width reduction has been achieved by offsetting the wheels on the chassis slightly differently. As a small added bonus, the wheels are also made of a lighter material, so the Vista has lost 0.5kg of weight as well. There are some lovely luxe touches on the premium Vista range. The handlebars are real leather (standout in the sea of leatherette you’ll see on most pushchairs these days) and the grey/blue weave fabric has a space-age feel. It’s on its way to the shops very soon. The Vista 2017 will cost £850, with the premium leather and fabrics adding another £100. 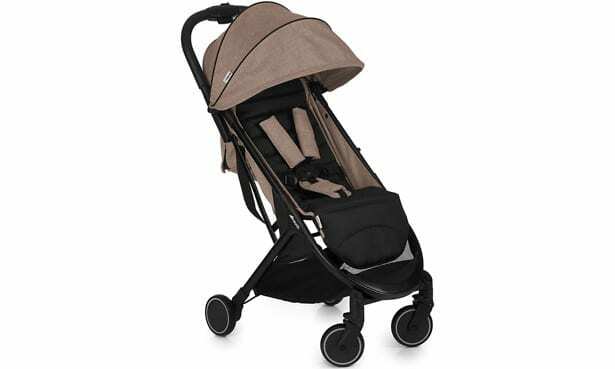 Read our review of the Uppababy Vista 2015. We’ve seen the Mixx around at the shows for a while, but it’s now available to buy in shops and we think it’s got some great features. 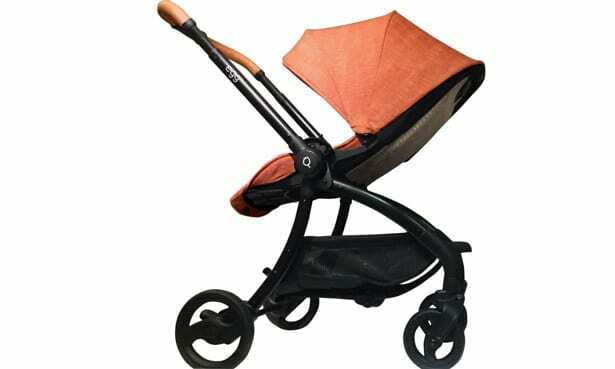 We like the lie-flat seat and are always big fans of a pushchair that can fold with the seat facing either direction. 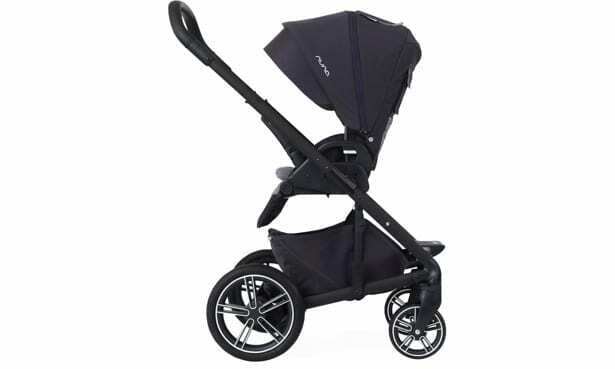 It’s a reasonably decent price for a travel system with so many features – £450 for the pushchair and an extra £150 for the carrycot, should you want it. We’ve tested the smaller sibling of the Joie Mytrax – the Litetrax 4. But one feature the Litetrax lacks, that might put some parents off, is an adjustable handlebar. 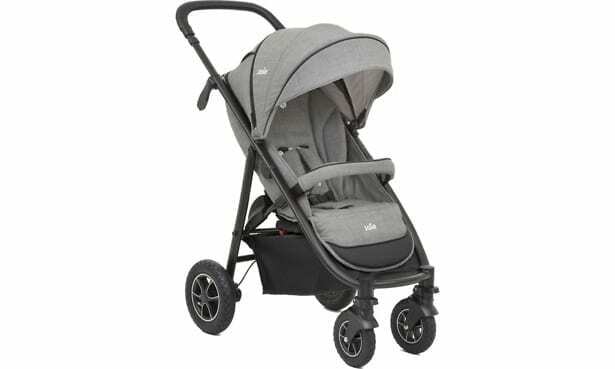 The Mytrax has added this and some chunky wheels, as well as some more premium fabrics. It still has a one-hand fold. The Mytrax is in shops now and costs £250. 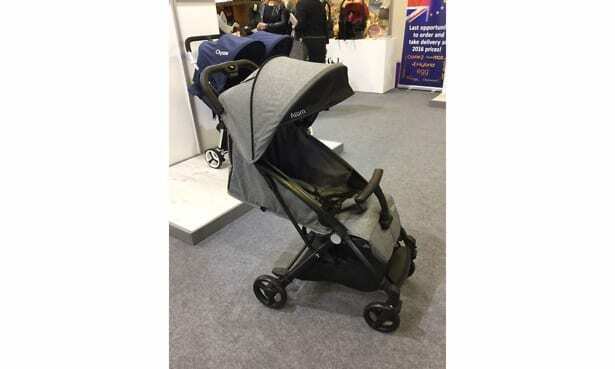 The biggest trend we saw at the Harrogate baby show was the explosion onto the market of lightweight, one-hand fold, cabin-baggage-sized strollers (some with travel system compatibility). We’ve already tested popular models such as the Babyzen YoYo+, the Ickle Bubba Aurora and the Red Kite Cube but now they’ve got some stiff competition. The Hauck Swift is stylish-looking – we liked the melange fabrics – and simple to use. It’s also keenly priced at £130. But the Hauck wasn’t the lone newcomer to this particular pack. 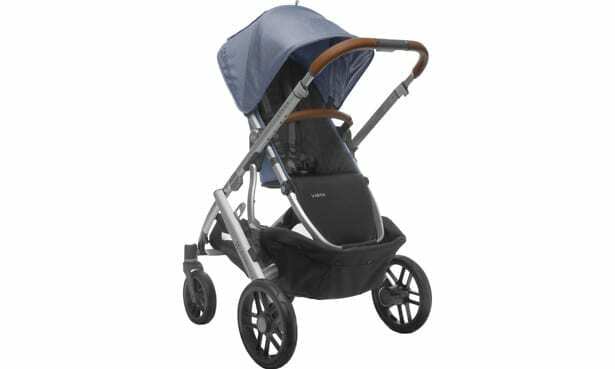 Look out for the Oyster Atom from Babystyle, the Familydoo Stroller and the Joie Pact, which can also take a car seat. All of them are suitable from birth and all of them share similar features, such as a one-hand fold. We wouldn’t be surprised if this type of pushchair soon takes the popularity crown from the umbrella-fold buggy that has ruled the streets for so long. Below: the Babstyle Oyster Atom, and the Joie Pact.